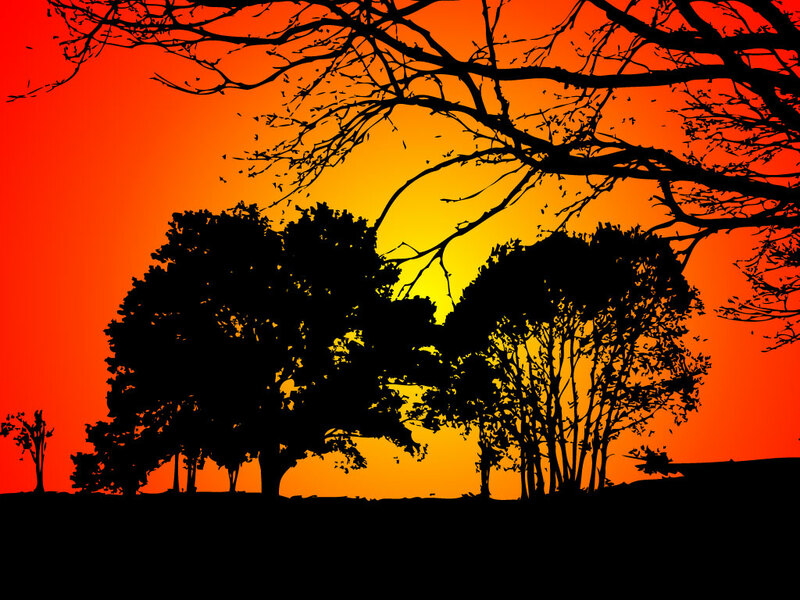 A beautiful sunset with silhouettes of thick leaved trees on the horizon and an overhanging tree branch in the foreground. A perfect background for an Autumn design. Download as AI and PDF for your seasonal and nature designs. Tags: Autumn, Birch, Branch, Forest, Leaves, Outdoor, Silhouettes, Sunset, Trees.